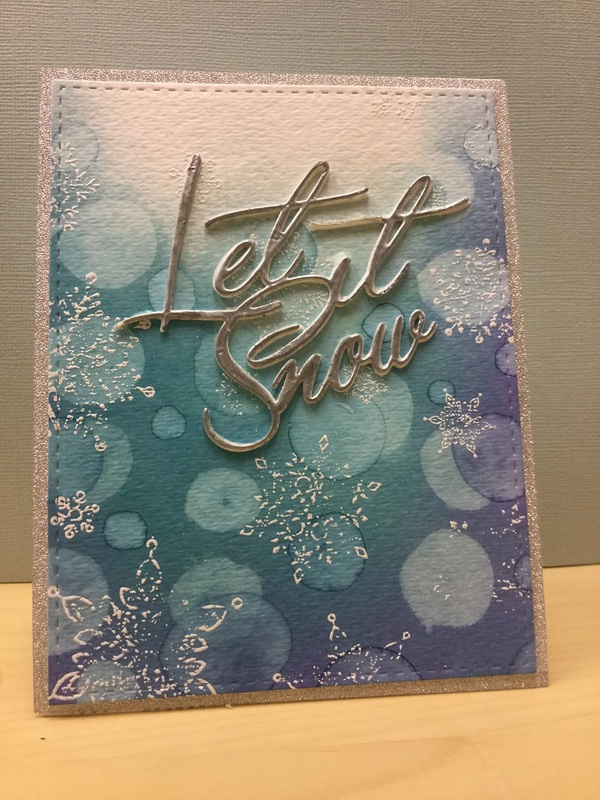 i loved the card so much that Christina made that I tried to copy it with a few slight differences. Supplies: Distress Oxide, Wilted Violet, Broken China, Peacock Feathers. SSS Lots of Snowflakes, MFT 4A die with stitches, PTI Christmas Cheer, DCWV glitter pattern silver, Altenew silver embossing powder.